Last Sunday marked the 4th and most recent Pianovers Meetup by far. 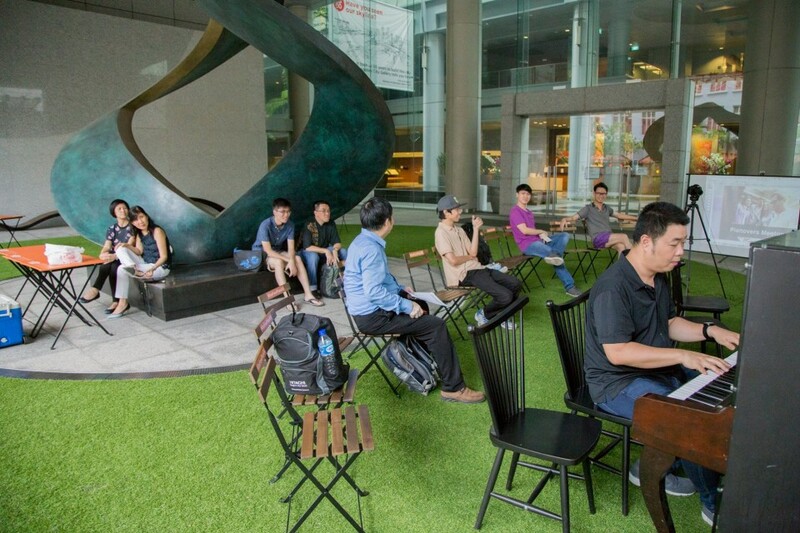 The weekly Pianovers Meetup has established a warm and inviting atmosphere for the growth of a close-knit group of piano enthusiasts and music lovers, and continues to encourage a spirited bond within the piano community of Singapore. This week was no exception. It was yet another successful piano meetup for the gang as we dove in with excitement, along with added contributions from Pianover Jerome. He kindly provided the event with refreshing iced peach tea to add to the Pianover ice cooler box, as well as a pink USB clip-on fan, to liberate the performers from the sweltering island heat so they could focus on playing their hearts out on the piano. 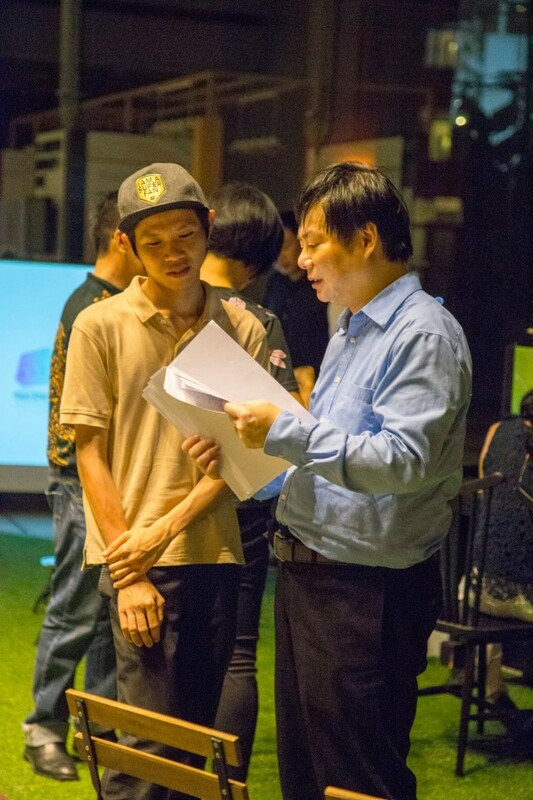 A Vietnamese passer-by, Le Minh Thanh, who was in Singapore for four months and who would travel to Australia to continue his studies, stayed throughout the event, leaving only at 9pm. The meeting that week saw a line-up of both familiar and fresh faces, among which included Jimmy Chong, who delighted us with his signature jazzy style covers of songs such as "Star Dust and Moon River". We were also revisited by Peter Prem and his daughter who recreated Tiger Rag, demonstrating once more the stylish elbow rub across the lower registers of the piano to “mimic a tiger's roar”, he explains. 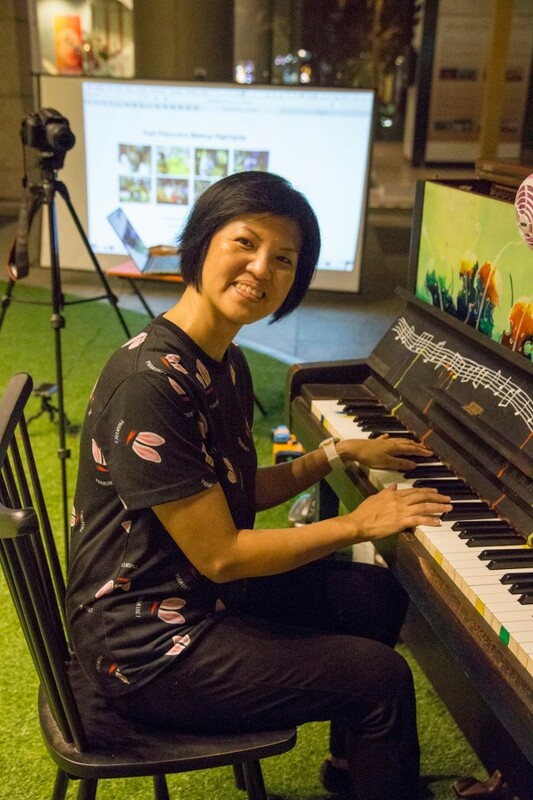 Established Pianover Chris Khoo also paid the event a visit, playing the Theme from Cinema Paradiso, an interesting addition to the night's repertoire. As the night progressed, the songs played also flourished into a string of mandarin classics. One after another, melodious Mandarin songs filled the air. No one had anticipated the pattern of events that occurred. 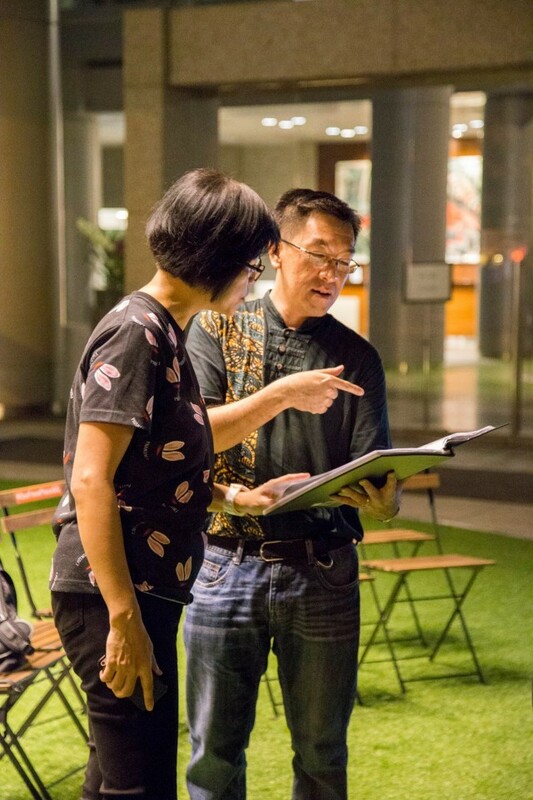 Newcomer Janelene Leong played 黑色毛衣 and 发如雪, while Joseph Lim, a busker, performed 童话 (Fairy Tale). Jeslyn Peter played 月亮代表我的心 (The Moon Represents My Heart). 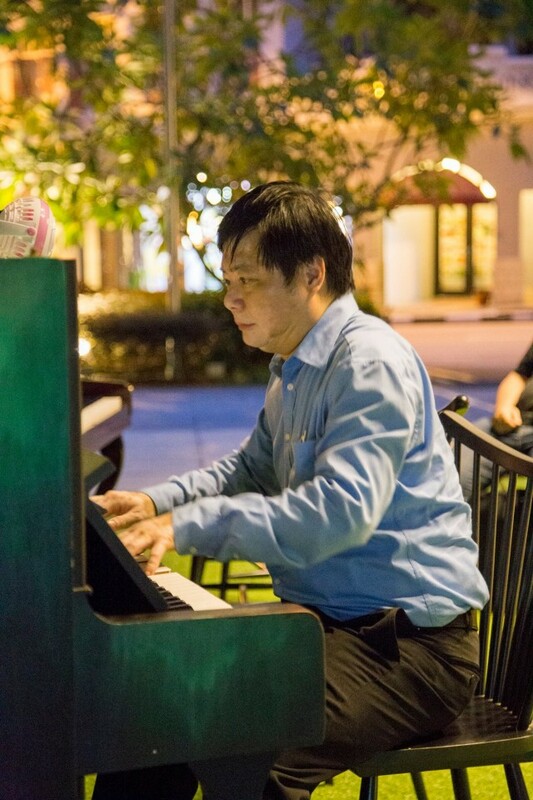 The Pianovers found themselves bonding over their love for Mandarin pieces, and even suggested that a theme could be established before each meetup, so that fellow Pianovers could relate to a common topic, creating more room for conversation. 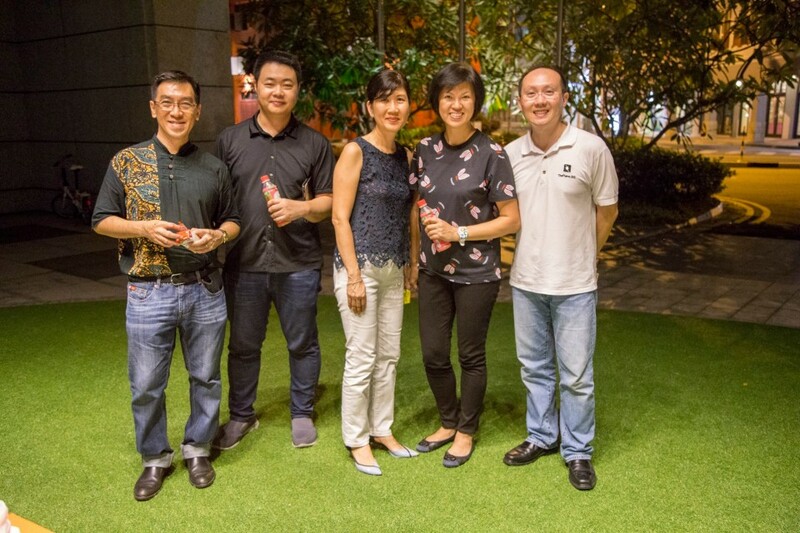 Amid all the enthusiasm and hearty conversation, came a soul-stirring moment from Joseph Leong, a Hong Konger who is a PR and has been living in Singapore for about 20 years now. Leong paid homage to his late mother, who had passed earlier that week. Because of stagnated funeral processions in Hong Kong, he was able to join us for two lovely tunes, The Prayer and You Raise Me Up, out of which one would be played at the funeral. It was truly a heartwarming occasion as he shared a touching story of how his mother instilled in him the love for music, and shaped his passion for playing the piano. 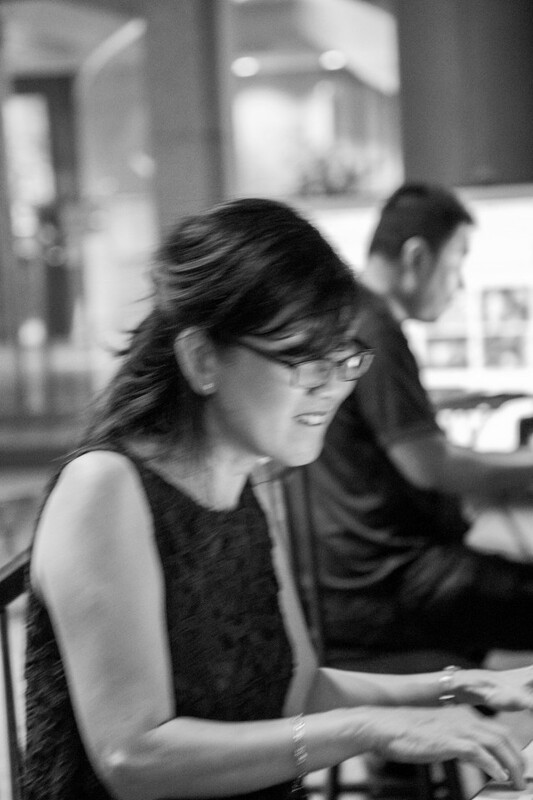 All of us were very much moved by Leong’s story and we offer our deepest condolences. It was an emotional and noteworthy night indeed, ending off with a customary group photo with everyone present. 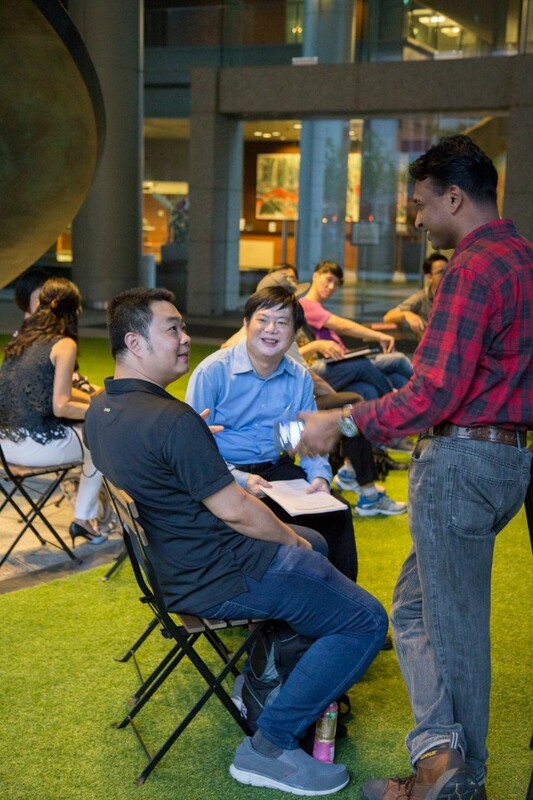 We look forward to seeing more faces and hearing more stories from our fellow piano enthusiasts at the next Pianovers Meetup. The reason I play music is to touch people - for selfish reasons, as well. It feels good to make someone else feel something, whether it's a kiss, a painting, good idea or it's a song.